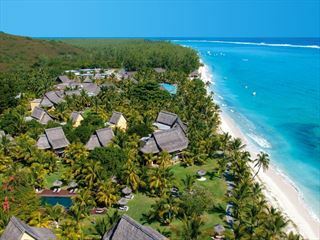 A haven of tranquillity and breath-taking vistas, the Maradiva Resort & Spa is a unique resort. 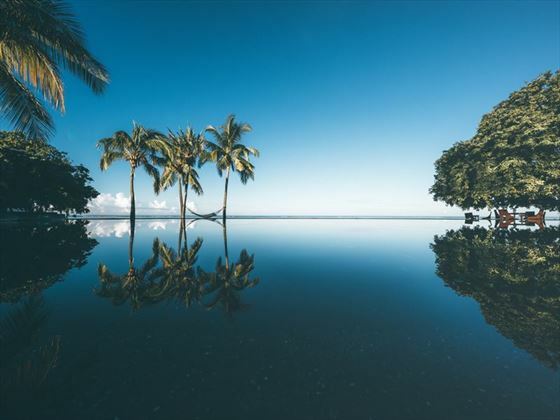 Set amongst 27 acres of stunning tropical gardens, lapped by the waters of Tamarin Bay, you’ll feel as though you’ve been transported to your own exotic paradise. 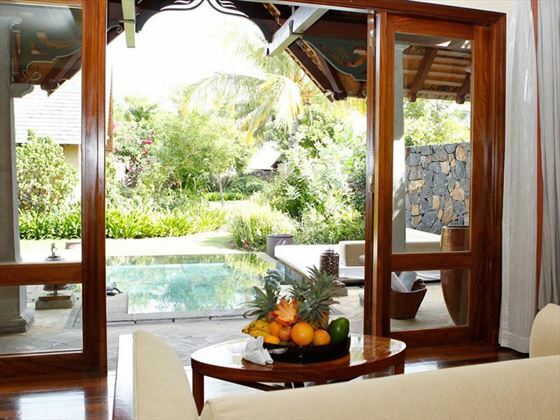 Each of the villas here is stylish and elegant, without losing any of that classic Mauritian charm. 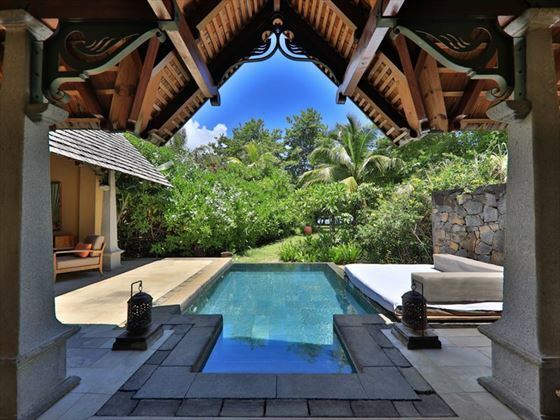 With each of the villas featuring its own private pool, you can really unwind here and make the most of the privacy these gorgeous properties provide. 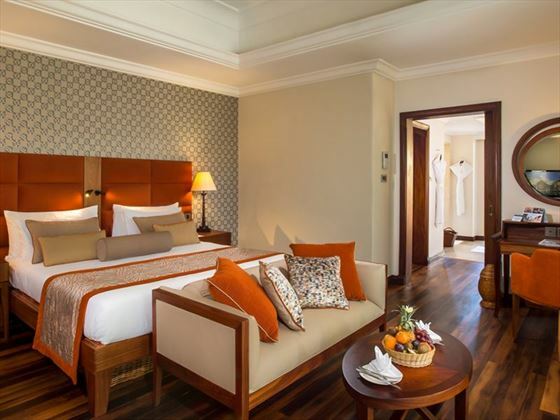 We think the facilities here lend themselves perfectly to relaxing, stress-free getaways. 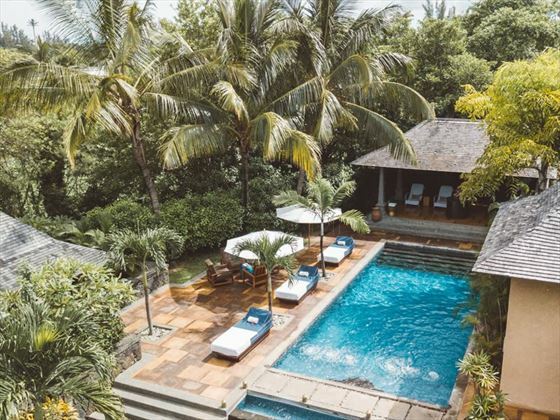 The spa is really one of the highlights of this resort, with Ayurvedic treatments, a hammam, hydrotherapy pool and steam rooms. 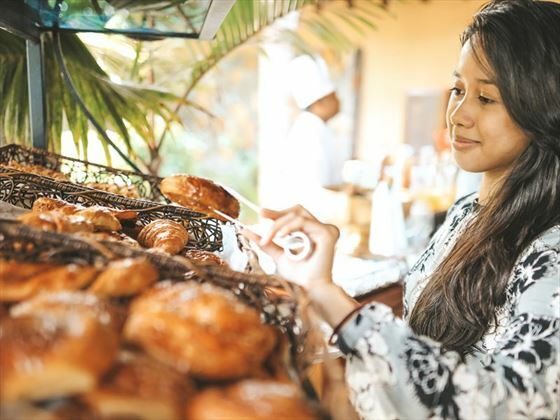 Soak up the sunshine, go snorkelling in the turquoise waters and end the day dining on fantastic local cuisine for an authentic taste of your surroundings. If you want to head outside of the resort at any point, there are plenty of things to do here too, from catamaran trips to tours. Top tip: Butler service is included for all guests staying at the resort, offering that extra dose of luxury to your stay. 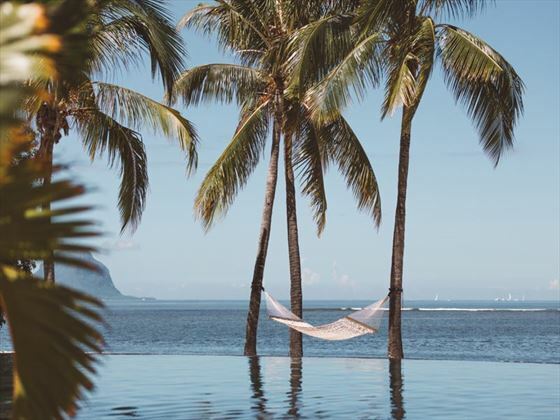 Maradiva Villas Resort & Spa is situated on the west coast of Mauritius, seet on a stretch of pristine coastline overlooking the Indian Ocean and Le Morne Mountain. 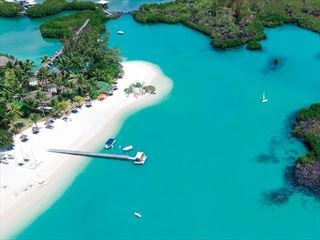 The resort is located among 27 acres of unspoiled landscape, filled with native foliage and gorgeous coastal views. 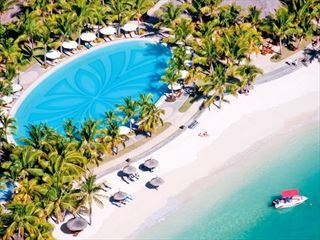 A 45 minutes transfer from Mauritius SSR international airport. 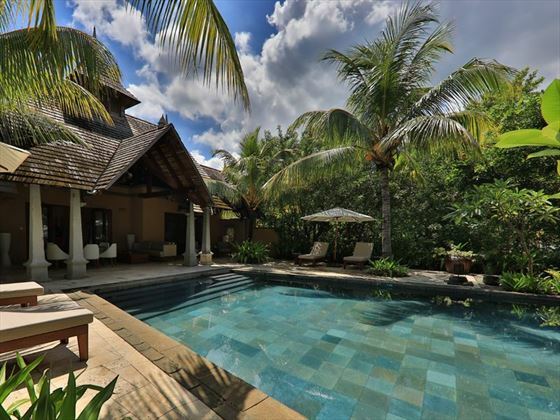 The resort provides 65 lavish villas. Teppanyaki - A restaurant where the chef creates in a social and convivial atmosphere true Japanese culinary art combined with Thai and Indochinese specialties. 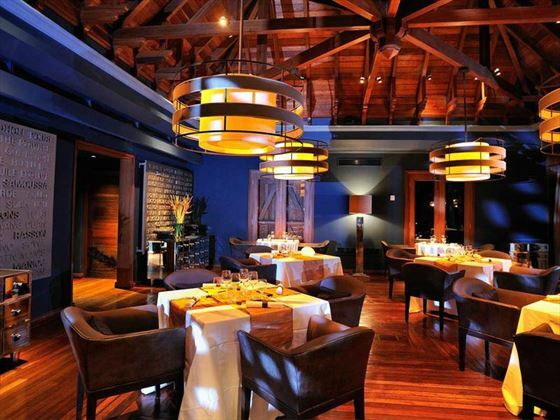 You can take advantage of the dine around concept for guests staying at Sands and Maradiva. 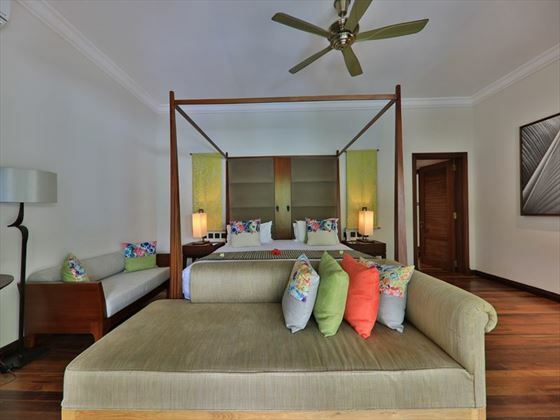 If you are staying at Maradiva you will have a credit of Rs 1,500 per adult and a credit of 750 Mauritian Rupees per child up to 12 years old. Any extras will be charged to your account. 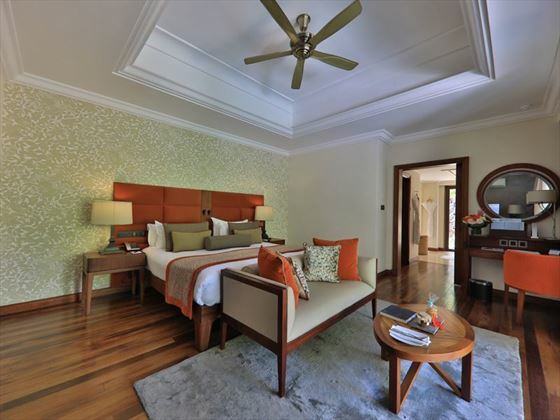 40% Discount on Villa rate on Half Board basis.